Valentine, you hold the key to our heart! Unlock your true passion with February’s Beautyscopes. Intriguing Aries loves to be the center of attention and her magnetic personality attracts a steady stream of admirers. It takes a grand gesture to stand out in that crowd! Teleflora’s Shining Heart Bouquet is as vibrant and gorgeous as the lady being wooed. Bursting with elegant red and purple blooms, this luxurious treat comes in a satiny, red keepsake vase adorned with a shimmering rhinestone heart. Become the twinkle in her eye at http://www.teleflora.com. 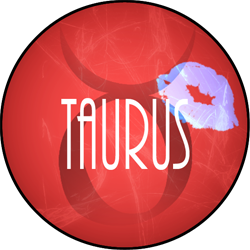 Generous Taurus loves to make others feel special. She’s so busy spoiling people, she rarely thinks of treating herself the same way. Make her Valentine’s Day with a gift that forces her to focus on herself! Even Headphones are beautifully crafted, classy and comfortable, using Even EarPrint technology to create a unique, sound-perfecting hearing profile for each ear. They also feature passive noise canceling so, whether she’d rather be swept up in a song or centered by silence, mind-soothing bliss is all hers! See for yourself at www.geteven.co. Taurus Birthdays: Amber Heard, April 22; Megan Fox, May 16; Jessica Alba, April 28; Ellie Kemper, May 2; Lena Dunham, May 13; Malin Akerman, May 12; Christina Hendricks, May 3; Adele, May 5; Dian Mills, May 10. 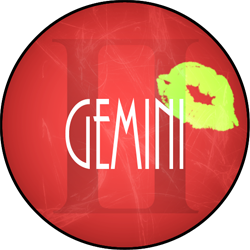 Restless Gemini has the heart of a wanderer. When she’s not off on one great adventure, she’s planning the next! The best way to stay in her orbit is to pack a bag and be ready to run with her. The sleek, durable Cabeau Corepack™ Premium travel backpack, with a pocket for everything and enough perfectly placed padding to protect both the cargo and the wearer, is the ideal way to keep your travel must-haves close without looking like a tourist! Set yourself free at https://www.cabeau.com. Gemini Birthdays: Amy Schumer, June 1; Tina Fey, May 18; Angelina Jolie, June 3; Pam Grier, May 26; Heidi Klum, June 1: Marilyn Monroe, June 1; Natalie Portman, June 9; Venus Williams, June 17; Zoe Saldana, June 19. Sensitive Cancer is a classic overthinker. Even the most well-meaning comment can send her mind spinning, analyzing every possible way it might have been intended. To free her mind long enough to contemplate romance, give her the gift of fabulous hair and blissfully spa-worthy aromas. SoapBox Soaps Tea Tree Shampoo and Conditioner hydrate and nourish stressed out hair while their scent is invigorating enough to revitalize even the droopiest of souls. Choose your sudsy USA-made, certified vegan, non-GMO weapons at www.soapboxsoaps.com. 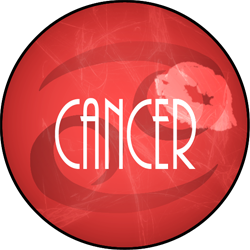 Cancer Birthdays: Ariana Grande, June 26; Meryl Streep, June 22; Frances McDormand, June 23; Deborah Harry, July 1; Wendy Williams, July 18; Kristen Bell, July 18; Selena Gomez, July 22; Frida Kahlo, July 6, Gisele Bundchen, July 20. Independent Leo prides herself on handling her own affairs. From paying bills to changing tires, she’s got it all covered! She’s no different when it comes to personal grooming, but razors and creams have her dreaming of a permanent solution. How better to make her eyes sparkle than to thrill her with her very own LumaRX Full Body Hair Removal Device? This FDA-cleared, user friendly gem uses IPL technology to stun hair follicles with powerful bursts of light energy, breaking the growth cycle. Pesky, unwanted hair begins to fall out within 7-10 days and, after three surprisingly easy treatments, furry patches are mere shadows of their former selves. Vanquish your fuzz at www.luma-rx.com, Amazon Luxury Beauty, Nordstrom.com and select luxury spas nationwide. Leo Birthdays: Halle Berry, August 14; Anna Paquin, July 24; Helen Mirren, July 26; J.K. Rowling, July 31; Martha Stewart, August 3; Viola Davis, August 11; Mila Kunis, August 14; Jennifer Lawrence, August 15. 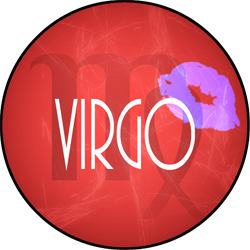 Analytical Libra is the perfectionist of the zodiac. Every aspect of her life is carefully contemplated from all possible angles before even the simplest decision is made. A mind like that rarely takes a break, even at bedtime, so she needs a gift designed to soothe and relax. The Slip Silk Sleep Mask and Pillowcase are a luxurious, 100% mulberry silk dream team that will keep her eyes softly caressed and her head cool and comfy. Bonus: they also banish bed head! Treat yourself to sensory splendor at www.slipsilkpillowcase.com, www.Nordstrom.com, www.Net-a-Porter.com and www.Bloomingdales.com. Virgo Birthdays: Blake Lively, August 25; Salma Hayek, September 2; Beyonce, September 4; Chrissie Hynde, September 7; Pink, September 8; Jimmy Fallon, September 9; Amy Poehler, September 16; Anne Bancroft, September 17. 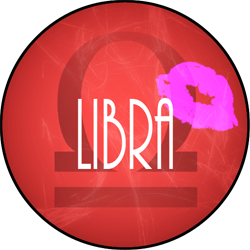 Charming Libra is the life of any party. Her effervescent nature always draws a crowd and she enjoys long, lively conversations with new friends. All that laughing and chatting can really stress out her lips, so why not treat her to a balm with a personality as big as her own? The new ChapStick DUO collection’s eight fabulous flavors (Berry Sorbet Shimmer, Vanilla Shimmer, Fresh Coconut, Tropical Pineapple, Strawberry Kiwi, Cool Mint and Refreshing Watermelon) can be carried solo or clicked together in pairs, making it easy to carry a new flavor combination every time she ventures out to parts unknown. Find your moisture rich bliss at Walmart locations nationwide. Libra Birthdays: Serena Williams, September 26; Kate Winslet, October 5; Rachel McAdams, October 7; Frieda Pinto, October 18, Ashlee Simpson, October 3; Gwyneth Paltrow, September 27; Kim Kardashian, October 21; Marion Cotillard, September 30. 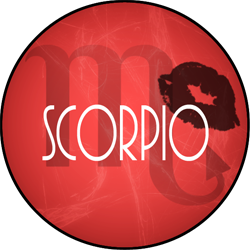 Intense Scorpio is a study in contradiction. Her fiercely driven nature makes her a bit of a loner, as she rarely sees the point of shifting focus to anything other than her goals. On the other hand, achieving those goals isn’t quite as much fun when there’s nobody to help her celebrate. Her armor might just crack a bit for a bold Valentine with a devastating grin and a bottle of Dreaming Tree Crush wine from the portfolio of musician Dave Matthews and winemaker Sean McKenzie. A sophisticated yet surprisingly light and fresh Northern California red blend, it’s the perfect ice (and wall) breaker. Stock up at wine shops nationwide and www.DreamingTreeWines.com. Scorpio Birthdays: Katy Perry, October 25; Emma Stone, November 6; Grace Kelly, November 12; Jodie Foster, November 19; Ming-Na Wen, November 20; Goldie Hawn, November 21; Jamie Lee Curtis, November 22. 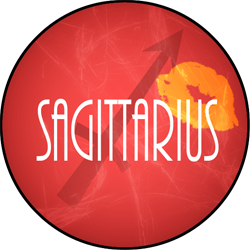 Independent Sagittarius is a natural explorer. Whether it’s walking around a new neighborhood or jetting around the world, she’s always in search of new experiences. Every personal care product she uses must earn its space in her carry-on bag, so why not treat her to something that’s both a skin care powerhouse and TSA approved? Regenica Replenishing Crème is an ultra hydrating moisturizer which uses MRCx next generation growth factor technology to boost natural repair and renewal while nourishing peptides soothe and replenish even the driest skin. Next stop: Antarctica! Find a provider near you at www.regenica.com. Sagittarius Birthdays: Nicki Minaj, December 8; Scarlett Johansson, November 22; Christina Applegate, November 25; Miley Cyrus, November 23; Tina Turner, November 26; Kathryn Bigelow, November 27; Bette Midler, December 1; Tyra Banks, December 4; Judi Dench, December 9; Taylor Swift, December 13; Anna Faris, November 29; Britney Spears, December 2, Jane Austen, December 16. 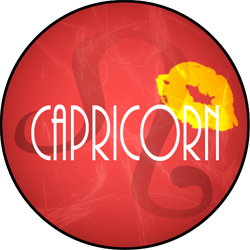 Ambitious Capricorn is driven by a constant desire for perfection. The ideal job, the classiest home … if it’s in her world, it’s got to be the best. Being her guest can be daunting. What do you give the hostess who has everything? A gorgeous, hand loomed Turkish Towel from BASK Miami is guaranteed to pique her creative interest. Created in Turkey with the highest quality Egyptian cotton, these lavish and luxurious pestemals can take her from yacht to backyard pool party in cool, vibrant style. Available at www.baskmiami.com. Capricorn Birthdays: Helena Christensen, December 25; Jared Leto, Dec 26th; Tracey Ullman, December 30; Katie Couric, January 7; Joan Baez, Elvis Presley January 8th, January 9, Pat Benatar, January 10; Kirstie Alley, January 12; Betty White, January 17; Dolly Parton, January 19. Witty Aquarius is the party girl of the zodiac. Easygoing and spontaneous, she finds humor in every situation and loves to get wild now and then. The way to her heart is through laughter, so make her Valentine’s Day with the IT’SUGAR Candy Bra! Made of real, edible candies that are far more colorful than a box of chocolates, it’s just the right combination of funny and naughty to keep her smiling all night long. Treat yourself at www.itsugar.com. Aquarius Birthdays: Geena Davis, January 21; Ellen DeGeneres, January 26; Oprah Winfrey, January 29; Kerry Washington, January 31; Shakira, February 2; Elizabeth Banks, February 10; Jennifer Aniston, February 11; Christina Ricci, February 12. 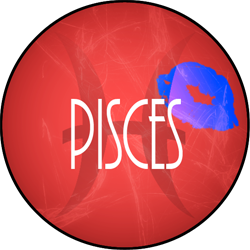 Perceptive Pisces is acutely aware of the importance of small details. Spots on silverware can ruin a lovely dinner, splashes of mud can cheapen a fancy car and neglecting her hands can give away her age faster than anything else. To ensure that she goes into Valentine’s Day feeling as perfect as possible, her gift to herself is Exuviance Age Reverse Hand Rejuvenator. This two-step peel treatment starts with a powerful blend of CitraFill®, NeoGlucosamine® and Apple Stem Cell Extract to diminish signs of aging while she sleeps. In the morning, a rich cream takes the day shift. Together, they’ll keep her as mysterious as she wants to be! Cover your skin care bases at www.Exuviance.com, ULTA and select prestige beauty retailers nationwide. Pisces Birthdays: Ellen Page, February 21; Drew Barrymore, February 22; Chelsea Handler, February 25; Rashida Jones, February 25; Elizabeth Taylor, February 27; Patricia Mills, March 1; Carrie Underwood, March 10; Eva Longoria, March 15.